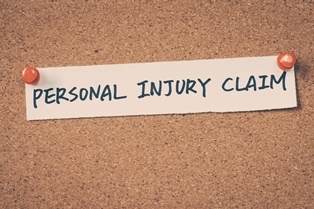 Personal injury accidents can be devastating—physically, emotionally and financially. Fortunately, if you were injured in an accident caused by another person's negligence, you may not have to bear these burdens on your own. Delaware's personal injury laws allow you to file a civil lawsuit against the responsible party to seek compensation for medical bills and other damages. However, if you're considering taking legal action, it's important not to wait too long or you may run out of time to file your claim. The statute of limitations is a law that limits how long potential plaintiffs have to file a lawsuit. These statutes help preserve the integrity of evidence, as well as protect defendants from living under the perpetual threat of legal action. Statute of limitation laws vary from state to state, between civil and criminal courts, and even from one type of case to another. In Delaware, potential plaintiffs have two years after the date of the accident to file personal injury, product liability, and wrongful death claims. An injury can throw even the most well-ordered life into chaos and, after hearing that you have two whole years to file a personal injury claim, it may be tempting to stop and take a breath before diving into a lawsuit. However, there are clear advantages to filing your lawsuit sooner, rather than later. Obtaining legal counsel and beginning an investigation as soon as possible ensures that the evidence collected is not only fresh but relevant and helpful to your case. Waiting too long may undermine your claim if evidence is lost, or witnesses move or forget what they saw. A knowledgeable and experienced personal injury attorney can help you collect and manage evidence to build the strongest case possible. In personal injury cases, compensation is divided into two categories: special and general damages. Special damages are intended to reimburse plaintiffs for tangible financial losses incurred as a result of the accident, while general damages compensate plaintiffs for non-economic losses, such as pain and suffering. Injured in an accident and interested in exploring your legal options? Don't let inaction cost you your right to pursue a legal remedy. Contact the Morris James Personal Injury Group today to schedule a free initial consultation to discuss your case. In the meantime, browse our article library or request a copy of our free eBook, Anatomy of a Personal Injury Claim for more information.